Attorney Maura A. Armezzani, associate, received her B.S. in Psychology from the University of Scranton, and her J.D. from the Dickinson School of Law of the Pennsylvania State University. She was admitted to practice by both the Pennsylvania State Supreme Court and in the United States District Court for the Middle District of Pennsylvania. Attorney Armezzani is a member of the Wilkes-Barre Law and Library Association and Pennsylvania Bar Association. Prior to joining Saporito, Falcone & Watt, Attorney Armezzani served as Law Clerk to the Honorable A. Richard Caputo in the United States District Court for the Middle District of Pennsylvania. Additionally, she is currently employed as a part-time public defender representing indigent clients in criminal matters in Luzerne County. Attorney Armezzani has extensive courtroom experience having handled many criminal jury trials ranging from simple summary offenses to complex felony cases. 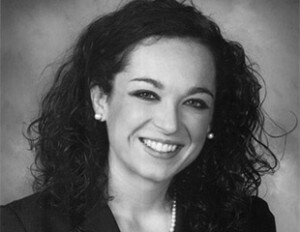 She currently concentrates her practice in the areas of family law, criminal law, and general civil litigation.